When compared to the rest of the U.S. housing market, Aspen Colorado is a really a niche luxury market with an overall median sales price of $1,407,500 in the second quarter of 2016. This was 27% higher than Manhattan in New York City – with a current condo reportedly under contract for around $250 million – whose market-wide median sales price was $1,108,500 in the same period. 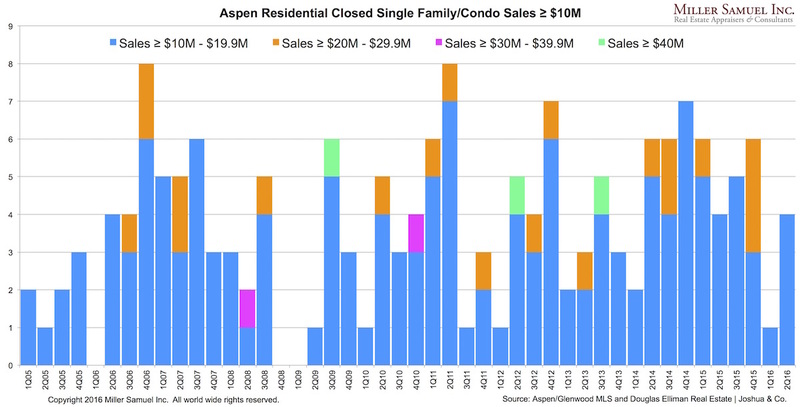 I saw a Denver Post article in my twitter feed yesterday that had an SEO friendly headline: Aspen real estate in a first-ever sustained nosedive and a subtitle: Brokers struggling to explain sudden, precipitous drop in luxury real estate market. 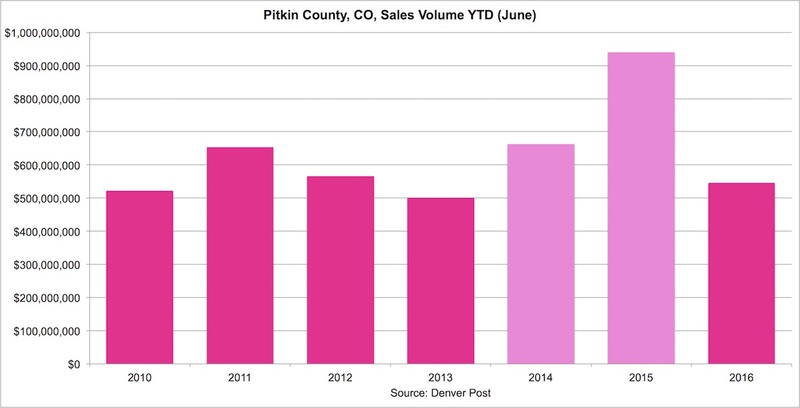 If you use the article’s June year to date residential sales volume for the entire county, it is clear that 2015 was an outlier. However because most real estate brokers on commission tend to look at the market in the short run, there was an expectation that the sales trend from 2014 to 2015 would continue into 2016. Because of the uncertainty described in the article, Aspen buyers – who are by definition “luxury” buyers – are clearly pulling back (and in many U.S. luxury markets). Based on the behavior of the luxury market in high end enclaves like Manhattan, The Hamptons, Greenwich, Miami and Los Angeles that are also covered in our report series, the prevailing pattern for housing remains “soft at the top” and it looks like Aspen is no exception. 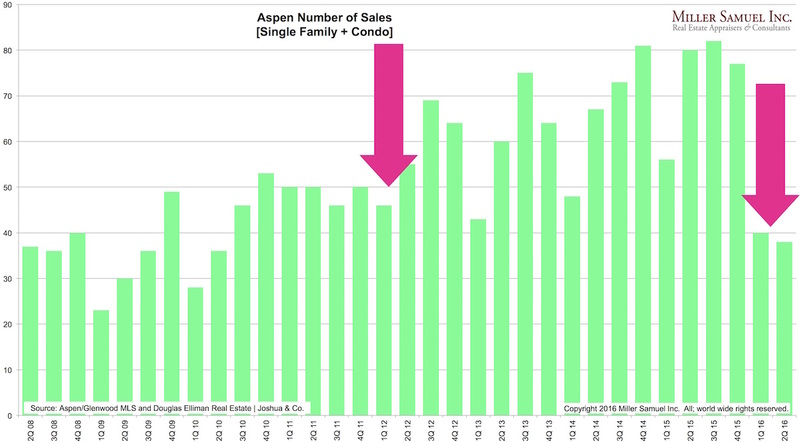 The impact of the 2012 on Aspen sales didn’t seem as pronounced as this year if you believe that is a significant cause. However my theory is that the heavy luxury volume of the prior year (2015) may have poached demand from 2016, exacerbated by the 2016 election and other items of uncertainty like Brexit, the U.S. economy and the financial markets.